When it comes to love, Pisces is very tender and compassionate. You are very sensitive and prefer a gentle partner. You are quite the romantic and want to make a deep, spiritual connection with your partner. Your tenderness and elusiveness are very attractive to others. Even though you want to be in a relationship, you aren't an easy catch. You enjoy your freedom and prefer to act based on your intuition, rather than a schedule. You have trouble saying, “no,” which often leads you to be in a relationship when you don't want to be in one. When this happens, you don't end things quickly because you don't want to hurt the other person's feelings. You're more likely to take the long way around to ending a relationship, rather than the direct approach. It's hard for people to get to know the real you. You're very adaptable, and change to suit the needs of others. When it comes to love, it's quite natural for you to pick up on the needs of your partner and make them your own. You lack personal boundaries in relationships which can make it hard for you to know what you want in a relationship. Pisces – Aries: This can be a challenging Pisces love match. Aries is confident and outgoing, while Pisces can be shy and naive. Pisces enjoys letting someone else be the leader, which Aries will love. Aries is quite direct, while Pisces tends to beat around the bush. Pisces and Aries are quite different, but the key is for them to focus on how their differences balance each other. Appreciate that you both have a lot to offer and you'll be able to get past your different approaches to love. The results can be quite rewarding. Pisces – Taurus: This is a good Pisces love match! Both of you are sensual, and enjoy art and beautiful things. Taurus is strong and secure, and likes to help Pisces achieve their dreams. Pisces enjoys finding ways to make Taurus happy. Taurus grounds Pisces' emotional confusion. Pisces helps Taurus to dream. You can balance each other nicely. Pisces – Gemini: This is a challenging Pisces love match because you have different needs in love. Conversation is important to Gemini. Romance is important to Pisces. Gemini wants everything to be clear cut. Pisces has trouble defining things. Gemini focuses on the intellect; Pisces prefers intuition. Both of you are flexible and intelligent enough to make the pairing work, but it won't always be easy. Pisces – Cancer: This is a good Pisces love match. It's a paring based on respect with both partners having similar goals in love. You both value emotions and romance. Pisces appreciates the security Cancer offers. 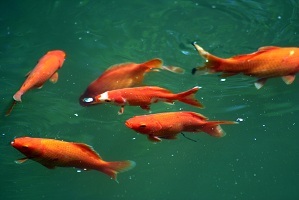 The problem lies in that Pisces cares for everyone, especially the underdog, which can cause Cancer to feel threatened. However, once Cancer understands that Pisces isn't trying to get away, and does indeed value Cancer's protective nature, this love match should be quite successful. Pisces – Leo: This is a difficult Pisces love match. You're both generous in love and very romantic, but your approach to love is completely different. Leo's love is very personal, while Pisces tends to be more detached, showering love on everyone they meet. You both probably have a lot of common interests, but when Leo gets in one of Leo's dramatic moods, Pisces can take it personally and become easily injured. This can be hard for Leo because Leo thinks they're just being honest. You're both going to have to work really hard at understanding each other for this relationship to work. Pisces – Virgo: This can be a successful Pisces love match with some work from both partners. You express your love in different ways, but you can both learn and grow in this relationship. Virgo can become frustrated by Pisces' preference not to define the relationship. It isn't a sign that Pisces isn't committed; it's just that defining the relationship isn't a big deal to Pisces. Pisces prefers to have faith in the relationship, but Virgo can help Pisces find purpose in the relationship. Just remember what brought the two of you together in the first place, and your love can overcome any obstacles. Pisces – Libra: This Pisces love match can require some work to be successful because Libra and Pisces have different approaches to love. You're both very nice people and will accommodate partners. Yet, Libra approaches love intellectually and Pisces approaches it emotionally. Thoughts make Libra tick, while Pisces is focused on feelings. Libra likes to talk things through, while Pisces needs some quiet time to figure things out before talking. If you're both willing to remember and understand that you have different needs and emphasize different things in relationships, you can find a common ground to make this zodiac love match work. Pisces – Scorpio: This can be a great Pisces love match! Scorpio and Pisces understand each other quite well and have a similar approach to relationships. Both of you approach things intuitively and emotionally, and need to feel an emotional connection to a partner. However, Scorpio wants to feel like his/her partner belongs only to him/her. This can cause some frustration as Pisces feels love and compassion for everyone. Scorpio needs to remember not to feel threatened by Pisces' world loving nature. Pisces isn't likely to cheat, and does appreciate Scorpio's passion and deep emotions. Pisces – Sagittarius: This is a challenging Pisces love match. You both look for the best in others, but you take a different approach to love. Sagittarius knows what he/she needs in love and is quite clear about it, but Pisces doesn't always know what he/she needs. Pisces approaches love intuitively and needs to feel comfortable about things, whereas Sagittarius responds quickly and emotionally. This can lead Sagittarius to feel impatient. Sagittarius is direct and honest to the point that Pisces' feelings can be easily hurt. You both like to feel free in love and need to look at what the two of you bring to the relationship, rather than focusing on what is missing. Pisces – Capricorn: This is a promising Pisces love match. Pisces enjoys Capricorn's confidence and sense of control. Capricorn enjoys how kind and caring Pisces is to everyone. Pisces has the ability to understand Capricorn, and when combined with Pisces' ability to adapt to meet Capricorn's needs, gives a great sense of security and stability to Capricorn. This allows Capricorn to feel secure in letting his/her guard down and opening up emotionally to Pisces. However, problems could arise in that the two of you express love differently. Pisces might find Capricorn too stubborn and focused on plans, while Capricorn might find Pisces too dreamy and unfocused. However, if you can accept each other's differences, you can do quite well together. Pisces – Aquarius: This can be a good Pisces love match with patience and understanding from both partners. You're both idealistic people who focus on the needs of others. You have great conversations and can enjoy each other's company. However, Pisces seeks a deeper connection than Aquarius can give. Pisces needs intimacy, while Aquarius prefers to stay in his/her head. Aquarius can help ground Pisces' dreams and make them come true, which simultaneously gives Aquarius the adventure he/she enjoys. This is a relationship of the mind (Aquarius) and the emotions (Pisces). It's success depends on being able to combine these two worlds. Allow one another to be his/her self while seeing the best in each other. Those are strengths you can use to build a solid relationship. Pisces – Pisces: This is a great Pisces love match! You both have similar needs and styles in love. You both adapt to your partner's needs, and are tender and affectionate. The problem could be that neither of you take the lead in a relationship. While a leader isn't always necessary for a relationship to be successful, without one, the two of you may not get anywhere because your nature is more dreamy than practical. You also both have problems setting boundaries in relationships. However, you can give each other the spiritual connection you both crave. If you remember to set common goals, you might be able to find the grounding you both need.